Just arrived today, I believe it's the first standalone dac commercially available. Unfortunately my current speakers are compromised until I can get a new crossover built so I can't tell how good it sounds! It has a nice weighty heft to it though Any opinions? Believe it uses the much lauded Philips TDA1541 chip (16 bit) which many feel gives a softer analogue type of sound compared to modern DACs. I have the same chip in a 30 year old Philips CD player and despite its age I personally much prefer its sound when compared to the more modern "detailed sounding" DACs such as Chord. I've got one of those, only upgraded it because it would not cope with hi-res audio. Reminds me I must put it for sale. I have only just seen this post Lawrence, I have one that I still use in a second system, considering it was the first stand alone DAC it sounds remarkably good still today (sat here listening to it as I type) The Oppo Sonica dac, has eventually relegated it to the second system, but many dacs came and went, before the Oppo, without bettering it to my ears. It uses dual dacs with 4x oversampling. Thanks to this thread and a very patient Bolosun I was lucky enough to buy his Digilog last year. Totally over the moon with it, lovely relaxed smooth sound but still deailed. Only drawback, it won't do high res. It's a keeper and I won't be swapping it for a modern DAC any time soon. How did you find it once your speakers were fixed? Sadly I had to pass it on before giving it a really good go as I've got way too much stuff. Sticking with my Tri Vista though! I'm pretty sure its a single chip being the TDA1541A as they are already 2 channel. Mind you they were doubled up occasionally in dual differential mode like in my CD94mk2. Looking forward to hearing some more of your excellent active speakers at Kegworth this year!! Must admit that I thought the original Arcam Black Box was the first stand alone DAC but then again I often think my name is George because it is written on the lable on my shirt. Both DAC's used the phillips chip in both cases a single chip for both channels . 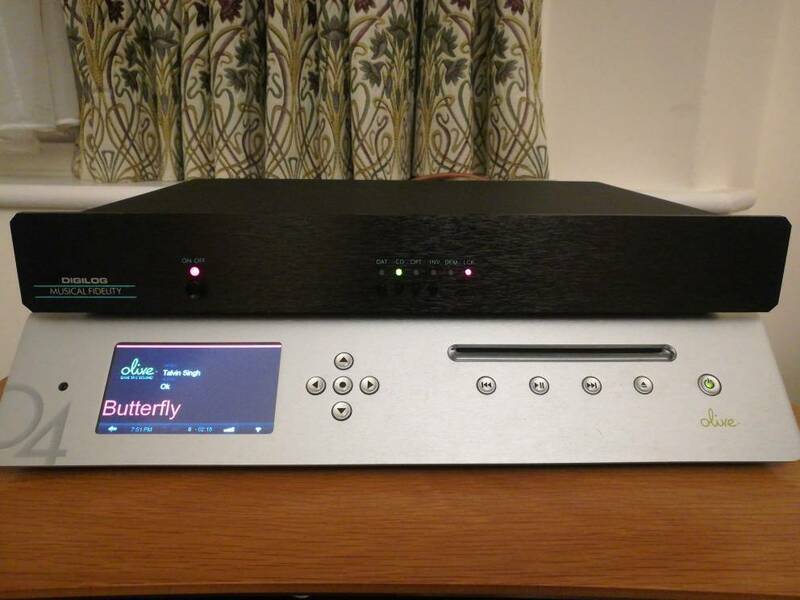 If you like the sound and want to include Hi Res as well then look out for some of the newer NOS DAC's . I have one that uses four chips for each channel it was not very expensive and gives you the same sound and is compatable with Hi Res . I do not use this at present and if you are coming to Kegworth I could bring the unit along and let you have it on loan for a while to see if it is what yuou are looking for. Drop me a PM if you are interested. Thanks Colin but if I remember right that was the announcement of the unit but they had production issues due to Philips not having any spare chips so the actual unit itself was not available to buy until about six weeks after the Blackbox . So I think it is as you say an argument of is an item first when it on sale or when it is announced ?